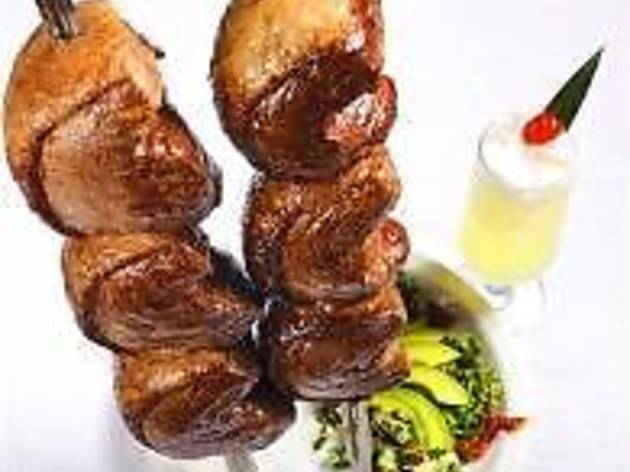 An impressive, authentic take on the increasingly popular churrascaría, this is San Francisco's first Brazilian-style steakhouse. 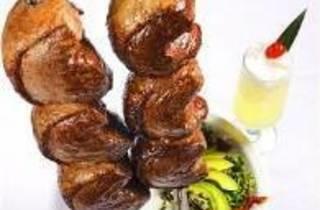 It's a meat-lover's paradise, wherein attendant servers, adorned head-to-toe in white, continuously cruise through the restaurant wielding skewers laden with straight-from-the-fire pork, steak, shrimp and lamb, known as Rodizio style, awaiting your request; this is indicated by displaying a green chip while red indicates a full stop. All the while, the evocative strummings and patterings of Brazilian jazz unfurl in the background.